Due to our proficiency of this field, we are engaged in presenting Promotional Diary. We are presenting these products to customers within given time-frame. Wooden Diary in black color. Can be customized with companys name logo. With sincere intentions to preserve and uplift our reputation in the industry, we are trading a comprehensive assortment of Customized Corporate Diary. 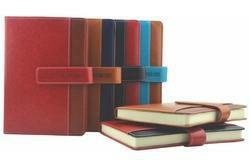 Our organization offers a wide range of Promotional Diaries which is high in demand in the global market. We customize the products as per client's requirement and print the custom logo of the client on the cover page. These diaries come with customized printed logo which is highly used for the purpose of gifts in clubs, event freebies and trade-shows. 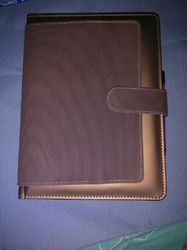 We are offering Promotional Diaries to our clients. With honest intentions to improve the standing we have earned in this arena, we are offering a distinct collection of Promotional Diaries.